We do worldwide agent networking for freight forwarders and logistics companies. We are providing reliable and strong partners to improve our member agents' business and develop their operational capability around the world. Freight Midpoint standardizes business flow for its members to make them reach the highest level of performance and assist in a professional way for any case, claim and dispute. Once you join FREIGHT MIDPOINT, you will have hundreds of partners who are looking for working based on mutual benefits. You will work with your partners in a totally safe area through FREIGHT MIDPOINT payment protection program. You will enjoy the approach of conference and protection focused idea, catch the human touch in your business relations. FREIGHT MIDPOINT is your one stop global agent networking solution. Join us and increase your shipment volume day by day with the support of fellow members based on mutual benefits. Let's WIN-WIN and grow up together! The reason is quite simple and easy to understand. As the philosophy of FREIGHT MIDPOINT, we want you to focus on FM annual conference which is held once a year and payment protection program which is very effective and unique. Use your budget to join FM annual conference and for the payment protection program. Your partners would like to meet you face to face and know more about you. Companies work with reliable agents that they know closely. A successful networker knows this secret that trust can be provided with human touch in business relations. Do you trust someone, you haven't met before? This point is the key success factor as much as the price. Good price + feeling in safe + human touch bring long term partners to you. If you are looking for one stop solution for your international business and agent networking activities, you are in right place now. The main concern of agent networking should be meeting with LIKE-MINDED partners under same roof, you cannot cooperate with an agent who doesn't think like you. However, Freight Midpoint conference and protection focused strategy gives you a chance to meet with partners who think exactly as you are. WHY SIX MEMBERS PER CITY? REMIND THAT the main idea of FM is getting full benefit from annual conference and having payment protection against hundreds to increase your shipment volume in safe. This explains six members per city. A freight forwarder and logistics company should have an international agent networking strategy to be able to handle its clients' cargos properly to/from all around the world. FREIGHT MIDPOINT is the ONE STOP solution for your all needs. If you would like to have couple of partners who support you in different cities of countries, then FM is right choice for you. As you all may know, countries have industrial areas in different cities which focus on specific products' manufacturing, so you will have the opportunity to ship general cargos to project cargos in FM because you will have partners who are located at each zone. The FM agents should transfer at least 30% of its's business to fellow FM agents. Agents' performance will be evaluated annually by score cards or activity reports in regularly. High performance and great attention to fellow agents are required. 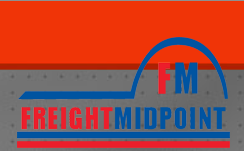 Join Freight Midpoint, join THE FREIGHT FIGHTERS! FM welcome gift: An agent, recommended by a current member, is granted a one-year free membership in the regular level, upon completion of membership requirements. FM unique feature: New members are accepted only by recommendation of our current members. A member agent must confirm the applicant’s service quality and credibility and recommend the applicant to the management. Please review online members directory: If you know any of our members, please request the member to send us a recommendation email for membership.